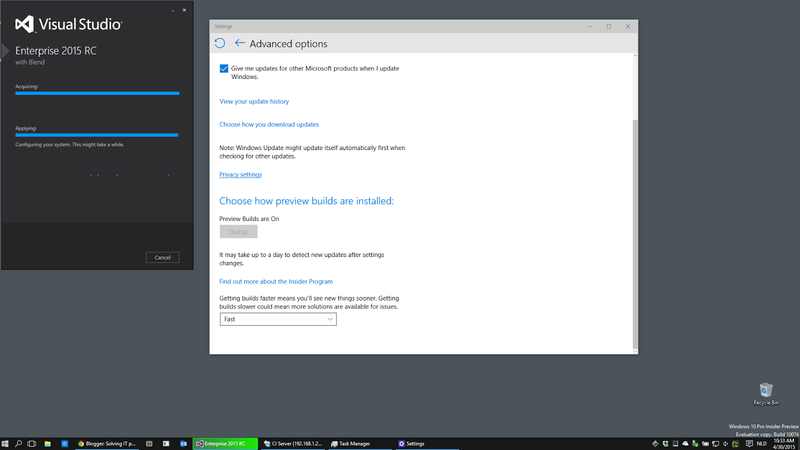 The new Windows 10 - build 10074 is released ! I've just updated and will start using it. If you didn't get it, make sure you've selected 'Fast' on the dropdown in the screenshot. It runs fine on my MacBook pro - this new windows just updates itself, no need to do anything different.